Famitsu recently held a livestream with Travis Strikes Again director Suda51 where the future of the game was discussed in detail. You can check out the full thing in Japanese below, but we’ve covered all of the essentials, with help from Resetera user Dreamboum. First things first, there’s the new DLC details. Bad Girl will be returning from the first game in a playable role, and her accompanying gameplay will apparently be a step up in terms of challenge, with a trap-filled level. Henry Cooldown is also slated to appear. The last chapter of the adventure game portion is also set to be released, which is apparently going to pave the way for the future of the franchise. 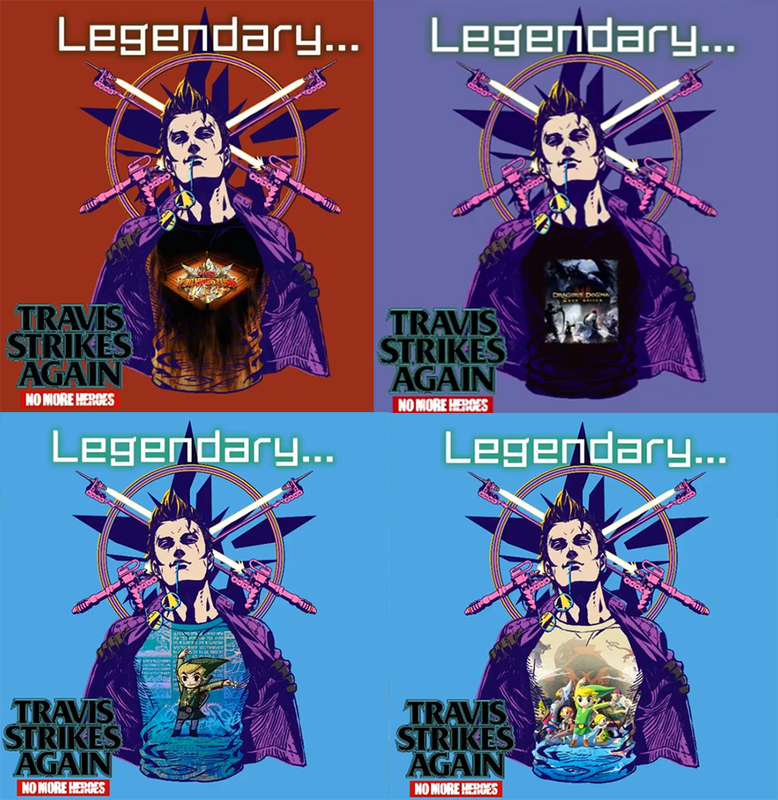 We’re getting yet another batch of t-shirts for Travis to wear, too. There’ll be one based on Fire Pro Wrestling, which Suda recently wrote for, two based on The Legend of Zelda: The Wind Waker, and finally a simple graphic tee of Dragon’s Dogma: Dark Arisen’s box-art. The latter is a much more extensive collab, though. If you’re unaware, Dragon’s Dogma lets you basically train up AI party members known as “Pawns” which are then shared across the internet to other players. In this case, there’s an official Travis Touchdown pawn, complete with his iconic hairdo and scar, though his beam katana has been replaced by a more setting appropriate flaming blade. 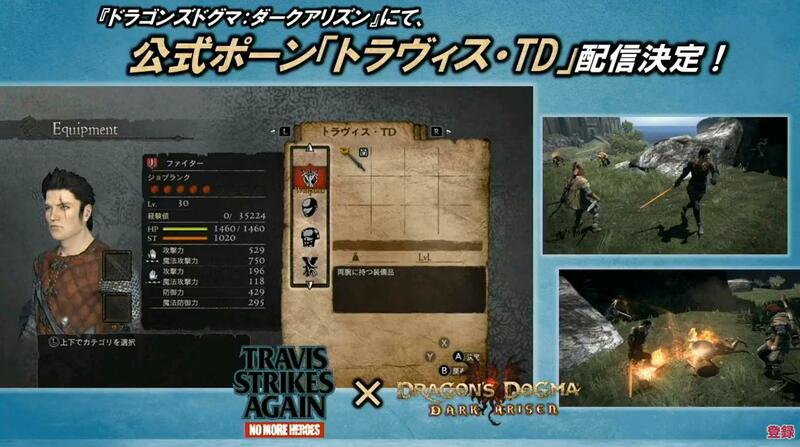 Dragon’s Dogma: Dark Arisen will head to Switch with Travis in tow on April 23rd, 2019.